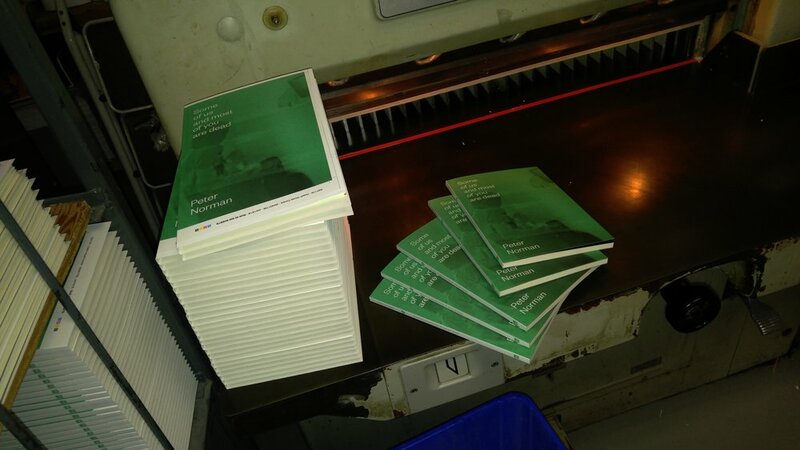 Some of Us and Most of You Are Dead is emerging from the binding machine, fresh off the press at Coach House Books (printing for Wolsak & Wynn), and it looks beautiful! (Sadly the same cannot be said for its author, also pictured.) Thanks to the fine folks at CHB for letting me in to take a look and bind a few copies myself. The book, along with the rest W&W’s fall slate, launches Monday in Toronto and Tuesday in Hamilton.